Mr. Maddali Nageswar Rao is a lecturer at Chaitanya Jr. College, Chilakaluripet, Guntur, Andhra Pradesh. 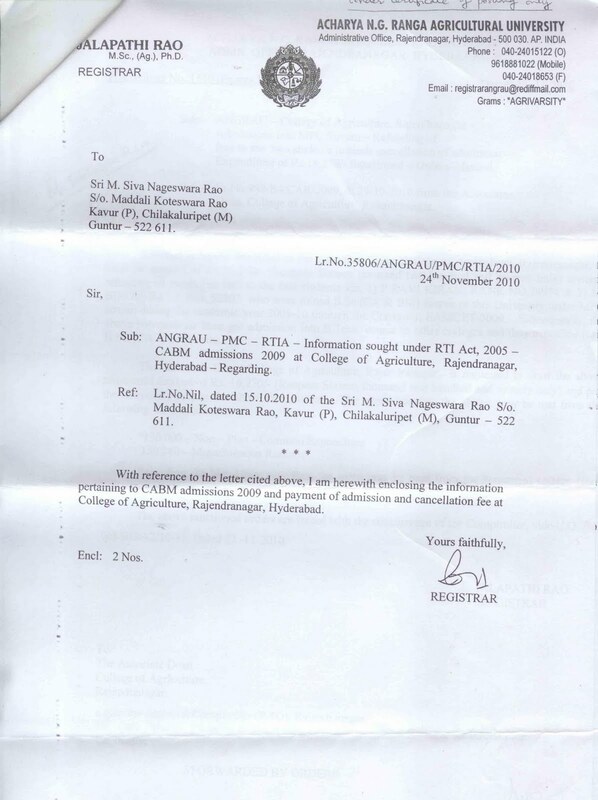 In 2009, his niece, Ms. Bindu, had paid Rs. 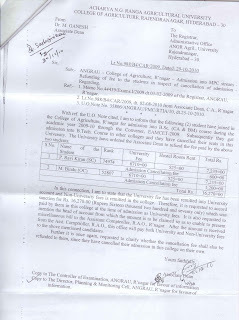 8000 as counseling fees at Acharya A. G. Ranga Agricultural University, Hyderabad, but decided to withdraw the next day. 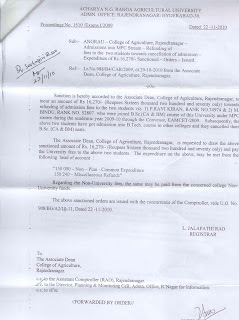 However, she did not receive a reimbursement even by October 2010. 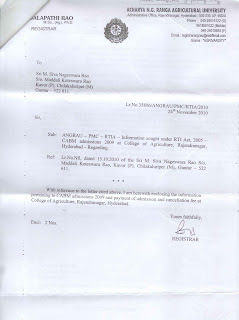 At that point, he filed a RTI appeal with the advice and help of Sanjeevani’s Abdul Azeez . 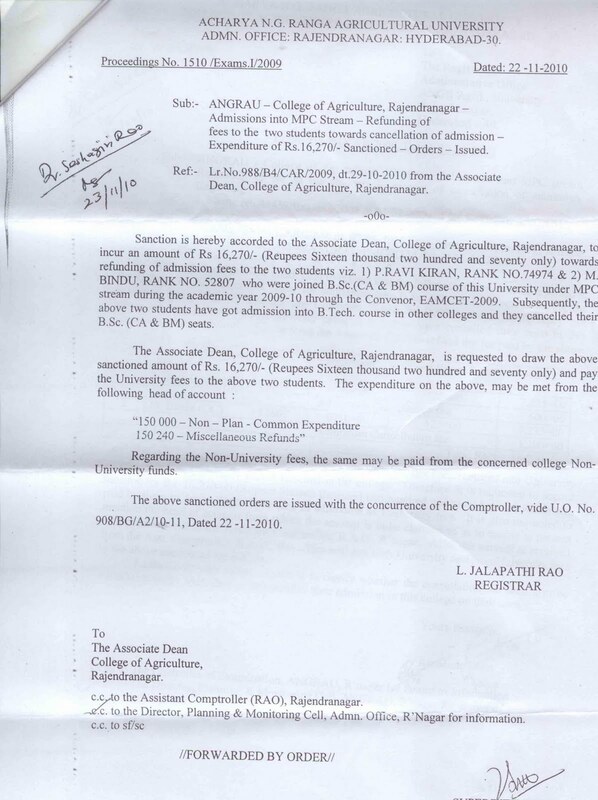 Following this, the Registrar directed the Associate dean to reimburse the whole amount to not only Ms. Bindu but also another student, Mr. P. Ravi Kiran, who was in the same situation as her. 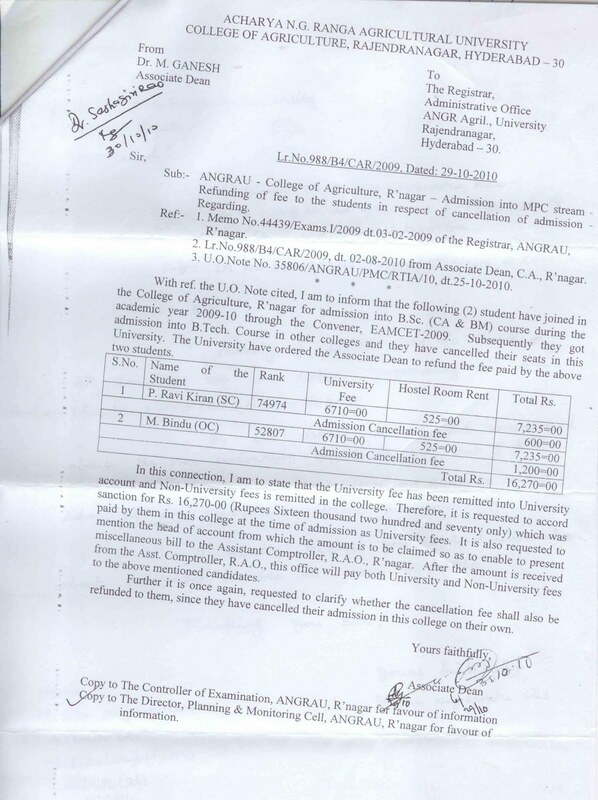 See below fold for photocopies of the reimbursement order.